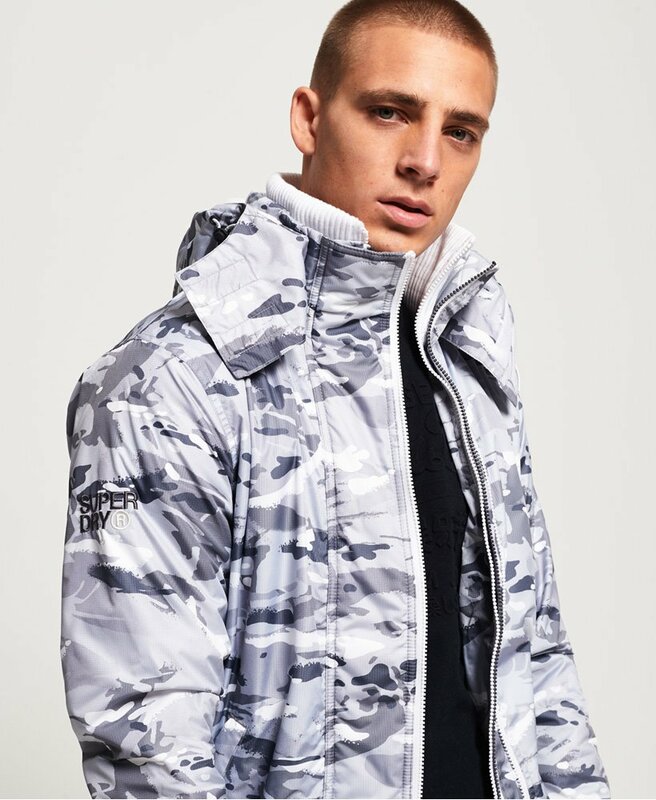 Superdry men’s Arctic hooded print pop zip SD-Windcheater jacket. This jacket features a fleece lined hood and body, double layer collar and triple layer zip fastening. The jacket also features a bungee cord adjustable hood and hem, two front zip fastened pockets and one internal pocket, perfect for keeping your wallet or phone in. The Arctic hooded SD-Windcheater is finished with an all over print and the Superdry logo embroidered on the arm, shoulder and back. This jacket is perfect for throwing on over any outfit to combat cold, windy or rainy weather.